ESPN’s Jeff Goodman is reporting that Michigan assistant coach Jeff Meyer is in the mix for Liberty University’s head coaching position. The coaching job search and rumors site HoopDirt also hinted that Meyer would interview at Liberty. Meyer coached Liberty from 1981 through 1997, guiding the Flames from NAIA to Division I and earning a trip to the NCAA tournament in 1994. He left Liberty under pressure from a new administration to reach a higher level, one that the Flames haven’t quite met since. Former Liberty coach, Dale Layer, was fired on March 5th and had an 82-113 record over six years. Meyer has been a college coach for 36 years including assistant coaching stints at at Purdue, USF, Winthrop, Butler, Missouri and Indiana. 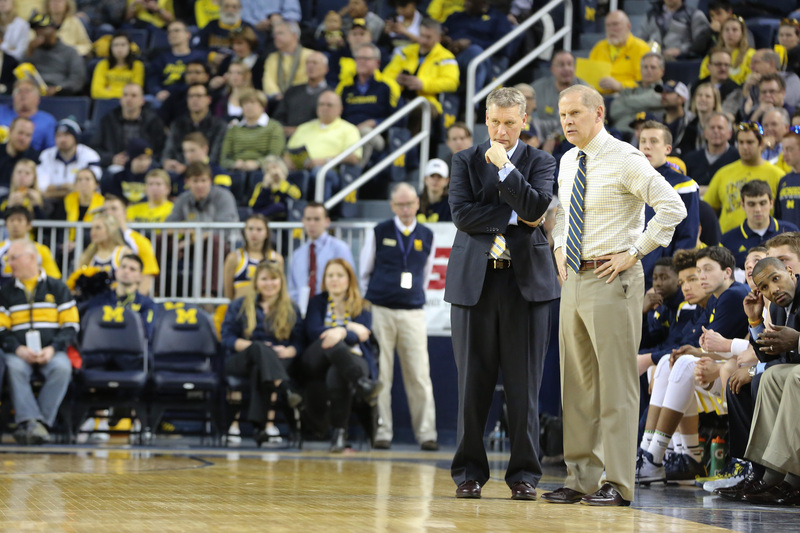 He has been at Michigan since 2008, starting out as an administrative specialist before being promoted to assistant coach during the 2009-10 season. He earned $180,000 last season and his current contract runs through 2017-18. His contract will increase to $220,000 in 2017-18 and he also earns a $25,000 ‘stay bonus’ for each completed contract year.